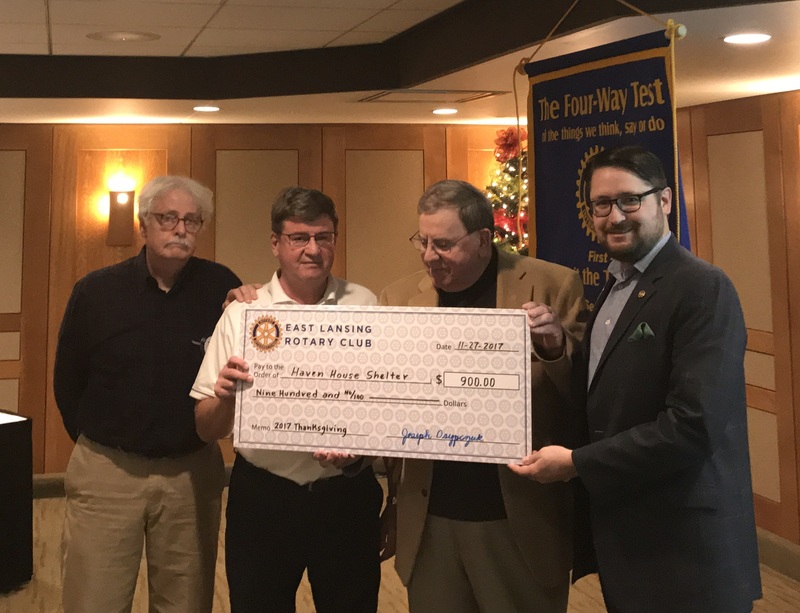 The East Lansing Rotary Club proudly donated $900 to the Haven House Shelter for their 2017 Thanksgiving program. Photo, from left to right: EL Rotarian Bill Webb, Tom Antaya (Tom’s Food Centers) and EL Rotarian Joe Osypczuk present the annual Thanksgiving Dinner project check to EL Rotarian Nathan Triplett, who was representing the Haven House Shelter at the Rotary Club of East Lansing luncheon on November 27th.Thank you to all who donated! East Lansing Rotary Club President Ody Norkin at the recent Peace Quest 2017 event at MSU. 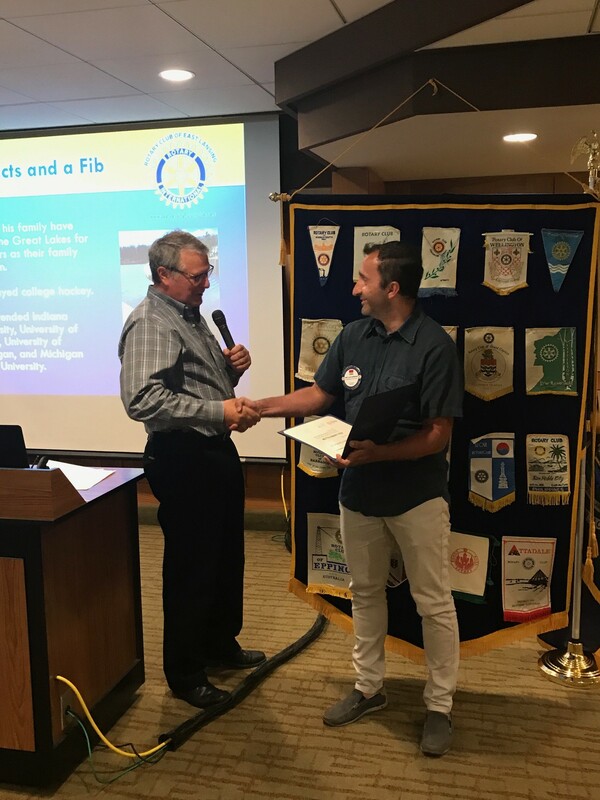 East Lansing Rotarian Gian Luca Gamberini receives his Paul Harris Fellow from Club President Ody Norkin. 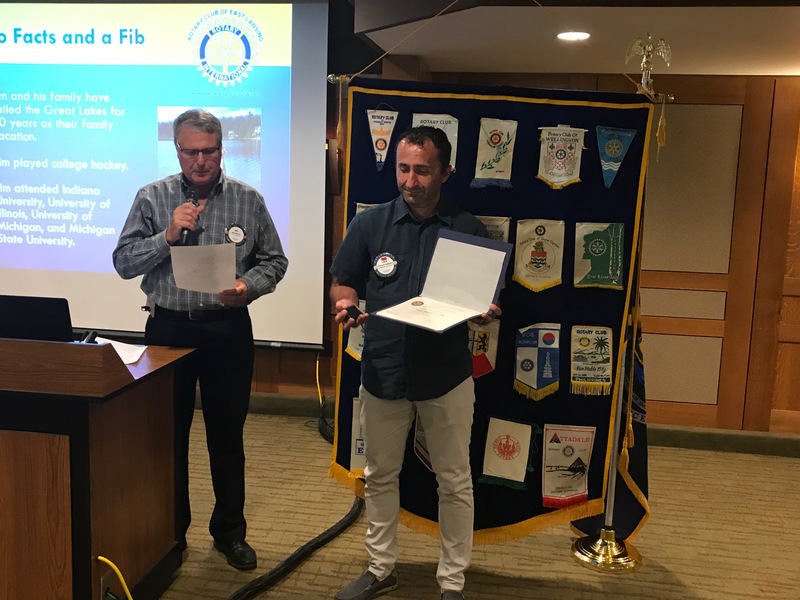 Congratulations, Luca! The East Lansing Rotary club recently heard from Rachel Lubahn, Executive Director of First Tee of Mid-Michigan, as she spoke at the Rotary club meeting on July 31. 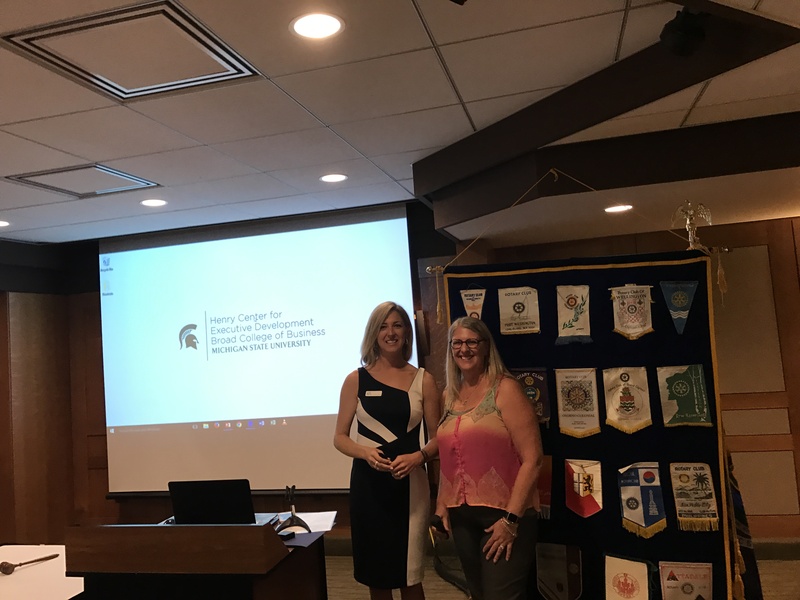 President elect Cathy Zell was there to welcome her as she gave a wonderful presentation! First Tee is an international youth development organization introducing the game of golf and its inherent values to young people. Through after school and in school programs, we help shape the lives of young people from all walks of life by reinforcing values like integrity, respect and perseverance through the game of golf. And it’s making a difference! The First Tee of Mid-Michigan is the culmination of a community effort to create a first class learning environment for Mid-Michigan youths. Through this organization, young people have the opportunity to learn important life skills, interact with positive mentors, and be exposed to the great game of golf. 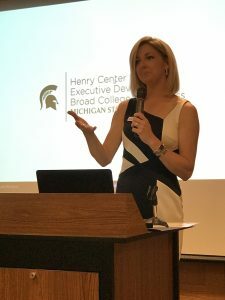 Thanks to the charitable efforts of Kris Nicholoff, Greg Eaton, Tom Jamieson and Chuck Clark (among others), working through The First Tee of Michigan, the Sycamore Golf Learning Center was built. This building serves as the nerve center of our operation during the golf season, and is located at 1526 East Mt. Hope, Lansing, Michigan. The Learning Center has a large area for instruction of our participants, a meeting room and a small office. After the Learning Center was finished, all it needed was kids! Jeff Green and J.V. Anderton energized the drive for the Mid-Michigan region to have its own Chapter as a part of The First Tee, with the first participants taking their initial swings in the 2008 season. Children ages 7-17 can join The First Tee of Mid-Michigan for a $50 fee (scholarships are available). The activity fee allows members to utilize the golf courses, Learning Center, and enters them into The First Tee Like Skills Program. The Learning Center is affiliated with the City of Lansing’s Sycamore Driving Range. The Driving Range also has a putting green, a short-game chipping area and two practice holes. We would love to hear from you! For more details about our facility and programs, please contact Rachel Lubahn at (517) 977-1722 or by email at rlubahn@thefirstteemidmichigan.org. 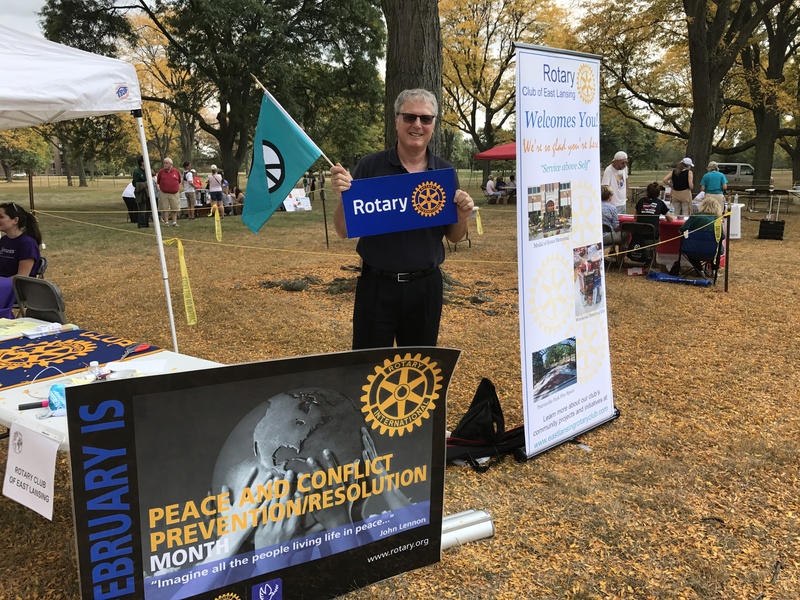 All are welcome to attend the East Lansing Rotary Club Meeting. Meals are $18 for visiting Rotarians and Guests.